Would highly recommend and revisit when I am visiting Brampton. We were attending a two day event at the Powerade Centre in Brampton so the location was ideal. The hotel was located in the core of city of Brampton, so there are several restaurants and stores nearby. I stay her when im in Brampton as it is good easy access from hwy and close to why I am in area! 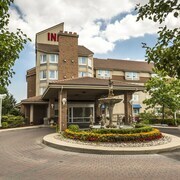 I had a great stay at the Hilton Garden Inn at Brampton. 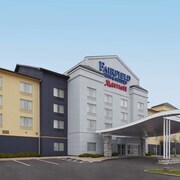 Where to find Brampton hotels near an airport? How can I find hotels in different Brampton neighborhoods? Where can I find hotels in Brampton that are near tourist attractions? 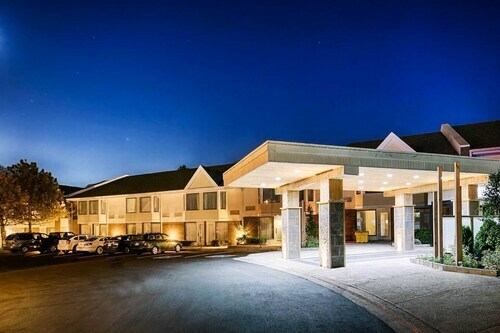 When you're ready to plan your Toronto sojourn, you'll find a huge selection of quality accommodation options in Brampton. Expedia features 23 hotels within 0.1 kilometres (0.06 miles) of downtown Brampton. Enjoy the action within walking distance of the center of Brampton. 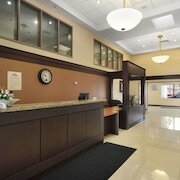 Hotels here include The Marigold Hotel and Best Western Plus Brampton. 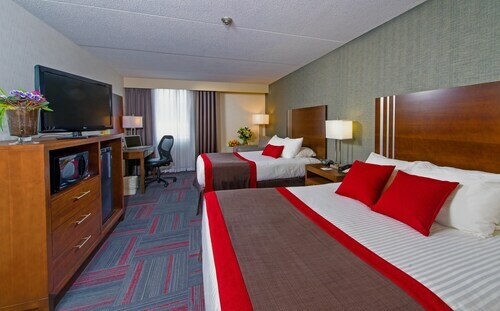 The Best Western Plus Brampton, Days Inn Brampton and Comfort Inn Brampton are useful choices for those chasing economical hotel accommodation. 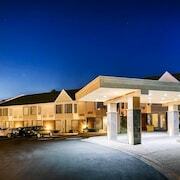 You could try the Old Mill Toronto and the Park Suites Mississauga - Skymark. The Old Mill Toronto is 20 kilometres (14 miles) away from the middle of Brampton. The Park Suites Mississauga - Skymark, is positioned 15 kilometres (9 miles) away. Some other places to rest your head include the Residence Inn by Marriott Toronto Vaughan and the Residence Inn by Marriott Toronto Mississauga/Meadowvale. Like to go a bit further afield? Southern Ontario offers many options. Check out Southern Ontario's traditional villages and churches or admire its beaches, coastal plains, forests and lakes. Visitors and locals alike in this region of Canada enjoy skiing and cross-country skiing. Why not spend some time exploring Knox Presbyterian Church and Provincial Legislature, in University District, 30 kilometres (18 miles) to the east of Brampton. University District hotels and accommodations are the The Ritz-Carlton, Toronto and Four Seasons Hotel Toronto. 30 kilometres (18 miles) to the east of Brampton, you can also stay at Downtown Toronto, which is home to the The Hazelton Hotel Toronto and Windsor Arms Hotel. The Church of the Holy Trinity and Mackenzie House are popular attractions to check out while in Downtown Toronto. While you are here why not spend some time rubbing shoulders with Toronto sports enthusiasts at a local match. You'll find Air Canada Centre 30 kilometres (19 miles) to the east of Brampton. Those wishing to find a bed nearby can take their choice from the Shangri-la hotel Toronto or the Trump International Hotel & Tower Toronto. Pearson International Airport is a convenient airport for flying into and leaving Brampton. It is 12 kilometres (7 miles) away. If you choose to stay nearby, try the Sheraton Gateway Hotel In Toronto International Airport or Residence Inn by Marriott Toronto Airport. What are the most popular Brampton hotels? Are there hotels in other cities near Brampton? What other types of accommodations are available in Brampton? Explore Brampton with Expedia.ca’s Travel Guides to find the best flights, cars, holiday packages and more!